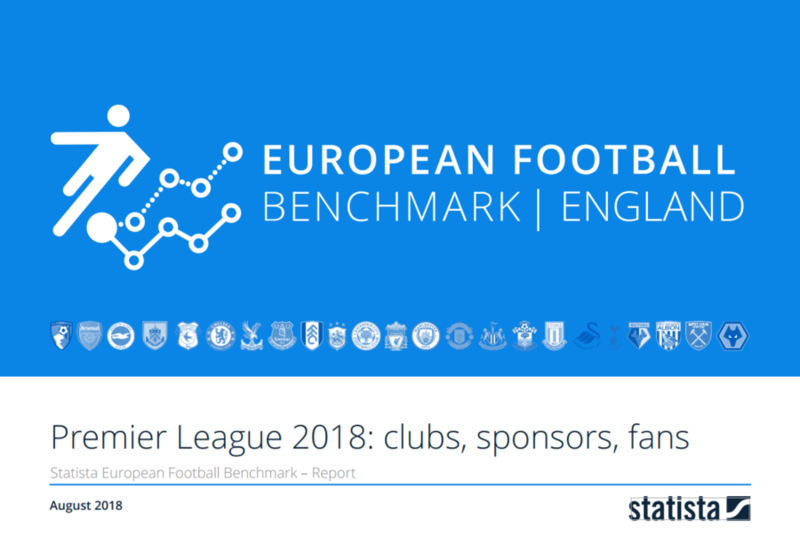 The European Football Benchmark summary report for the Premier League provides data on fans, clubs and sponsors. Over 3,100 persons in England interested in football answered questions on clubs, sponsors, media usage related to football, stadium visits, merchandise, opinions on current football topics and much more. The Statista European Football Benchmark – the first football survey that compares the 5 big European leagues. Get a holistic perspective on clubs, sponsors and fans of the most important European football leagues.